A North Kansas City, Missouri, police officer stepped in to save a life and ended up getting a new family member. NORTH KANSAS CITY, Mo. — A North Kansas City, Missouri, police officer stepped in to save a life and ended up getting a new family member. Officer Jason Smith noticed a tiny kitten on a barrier wall on Interstate 29 and called for backup to get traffic under control around the area. Despite his heroics, the kitten was not thrilled about being taken to safety until it reached the comforts of the patrol car. 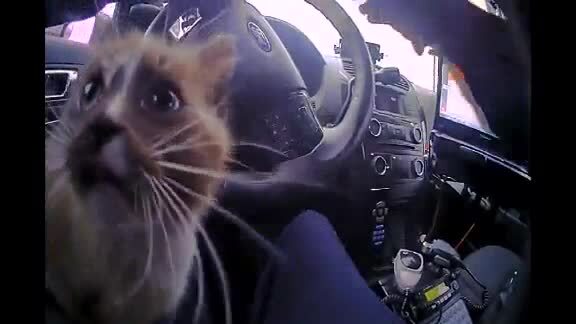 Video shows the kitten meowing and enjoying being petted by the officer. After being checked out by a veterinarian, the kitty was adopted by Smith's family and named Bella.